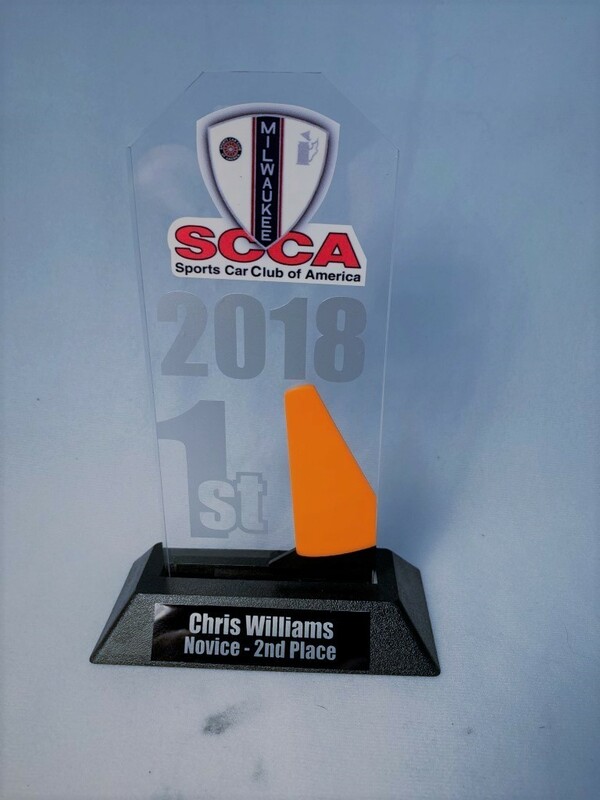 These beautiful acrylic awards are perfect for any Autocross event or series. They feature a raised cone made from 1/8 acrylic and logo, text and rationalization can be full color or laser etched. Size and location of cone can be changed. Personalization can be on metal plate on base (as shown) or etched on acrylic. Q: Looking for trophies for NNJR SCCA. Does this one come in different sizes? A: Yes, it comes in 7-8-9 inch tall versions!